- FREE on phone (not on watch), with lots of features like 3D map and hole flyover. Why pay for other golf GPS apps? - Stand-alone on Apple Watch. No phone needed on course. 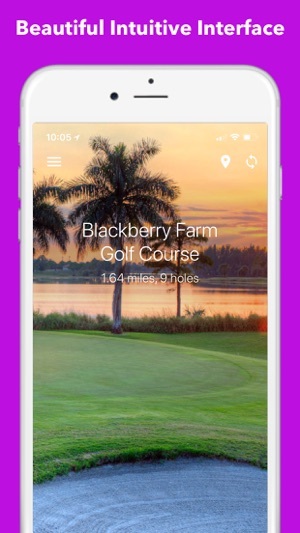 It is the only stand alone golf GPS app today. Play without lugging your phone with you, and ditch your Garmin watch. 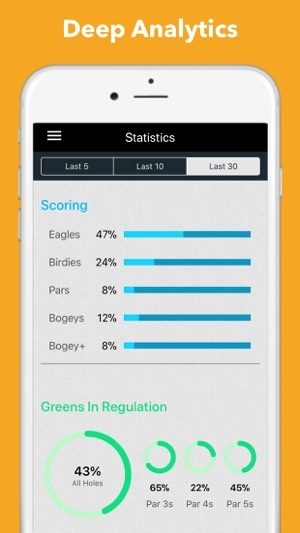 Plus, it analyzes your swing and putt while you play. 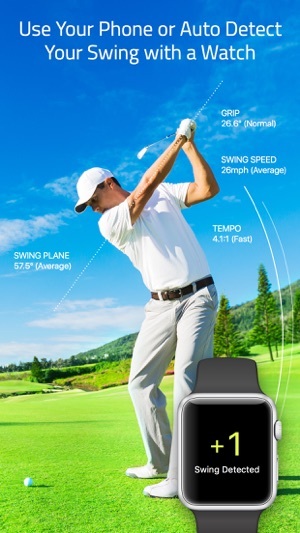 - TrackMyGolf uses the Apple Watch to automatically detect your swing. 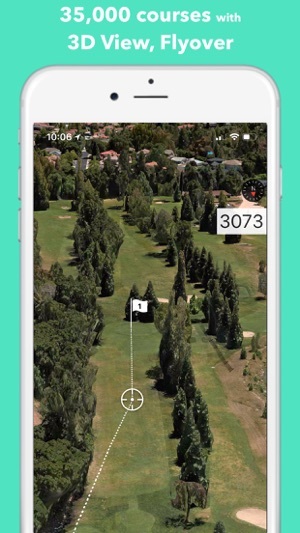 - Know exactly how far you are from the hole with measured distance to holes and hazards, for 35,000+ golf courses around the world. - No need for Internet connection. Once a golf course is loaded, it is automatically cached. You do not need Internet on the course, or for future rounds. 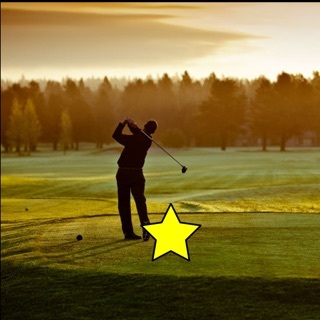 - Our gesture recognition technology automatically recognizes a golf swing, and it automatically tracks your game score. All you need is an Apple Watch, no more pen and paper scorecard. - It automatically records the GPS location of each swing. We track your club distance and accuracy automatically. - Auto hole switching, it knows when you finished with a hole. - Use your phone, or Apple Watch, or both at the same time. Real-time sync data between phone and watch. - Connect with Apple Health app when using Apple Watch and contribute to activity rings. - Monthly subscription for $4.99/month. It is auto renewing every month unless you cancel. There is a free 7 days trial, during which time you will not be charged. As a premium member, you gain unlimited cloud storage of your past rounds of golf. You will also have unlimited access to our course database, which is constantly updated to reflect the latest golf course changes. 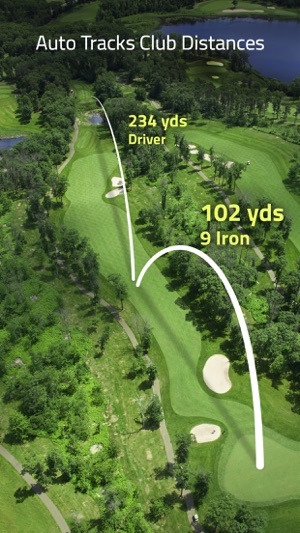 I have been a long time user of TrackMyGolf. I normally never write reviews, but I love it so much that I want to write this. Part of the goal is to save you time evaluating. 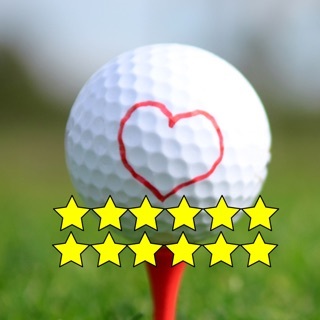 I have done extensive evaluation with the various golf apps out them, let me tell you, they cannot compare with this app. Just look at the UI, you can immediately tell it was designed with love, clean and beautiful homepage puts me in the mood of golfing every time I open the app. But, that it is not all, there are a lot of attentions to details. For example, in the watch app, when you input scores in the simple mode, you can tap on the watch to quickly increment or decrement scores. Or you can quickly input through predefined (par, birdie, eagle) input. Either way, I can be done inputting score within few seconds. In comparison, in some other apps, I have to turn the crown to select scores. The Apple Watch's crown is not the most friendly input method, it is not precise, I end up having to fiddle with it for quite some time, that just frustrates me, and you do not want that in your golf game. For those interested in stats, this app has tons of it too. 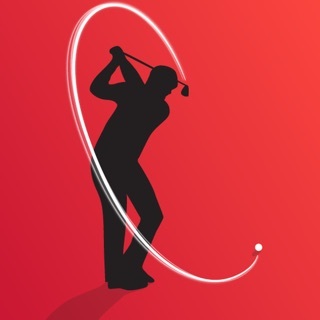 In Pro mode, it auto tracks each of your golf swing. I am surprised no one has done it yet, it is such an innovative use of the Apple Watch. Trust me, get this app, it solves all your needs. Have you thought about tracking your club stats? Then you may have looked into gadgets, you know those that sell tags that you screw to the end of your golf clubs, and when you swing a club, you have to tag it so that the system knows you have recorded a shot? I am one of the early adopters. Let me tell you the stats are amazing, I finally know which club I am weak on. But, the process of using those system is a nightmare. I have to constantly remember to tag my shot, which distracts me from my games. 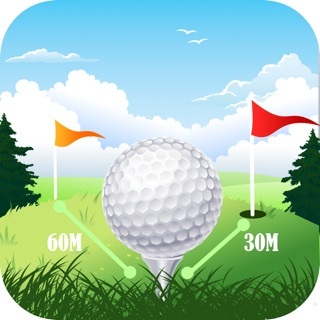 Until one day, I found out about TrackMyGolf app. I have an Apple Watch already, so this is a no brainer to download. And I have to say, I am pleasantly surprised how good the system is. I regret not finding out about this app earlier, so I wasted all that money on the useless gadgets. Unlike those tag systems, where I have to remember to manually tag my shots, the Apple Watch automatically recognizes that I have swing, so it auto captures the shot. I can input the club used later on or on the spot, and move on. It is a painless process. I am a happy man now that I save money, automate data collection, and still be able to see the same data insight. Do not repeat my mistake wasting money on gadget, if you have Apple Watch, you have everything already, if you download this app. After extensive researching of golf apps for my Apple Watch, I thought I give Track My Golf a shot. Well, after downloading the app last night, it did recognize the nearest course, which was about 8 miles away. I was not going to play that course this morning and was expecting it to recognize a different course about 15 miles from home. Upon arrival, I tapped on the Track My Golf icon. The correct course did indeed show up, but it was prompting me to “Resume Game”. Good gracious! I hadn’t even started yet! I found myself locked onto that screen, unable to exit or even advance anything...even that aggravating message (Resume Game)at the screen’s bottom, which I tried to press. Nothing happens, even after repeated attempts. Such a disappointing round !!!!! Tim E.